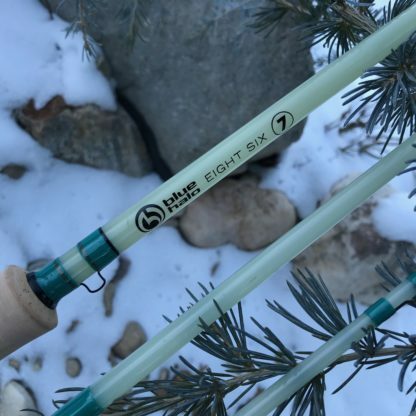 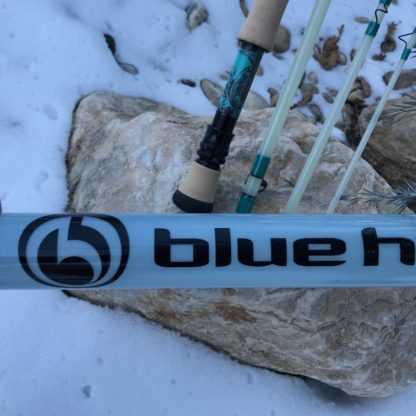 A just built Blue Halo Gen 3 in 7wt (8’6″). 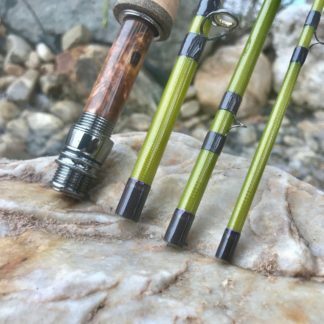 Rod features a gorgeous acrylic seat with black hardware, FLOR grade cork and black Hopkins and Hallway guides. 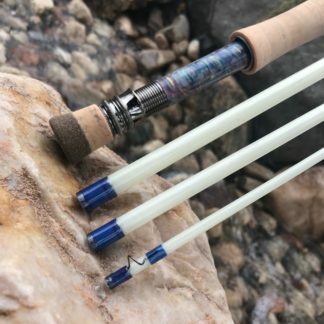 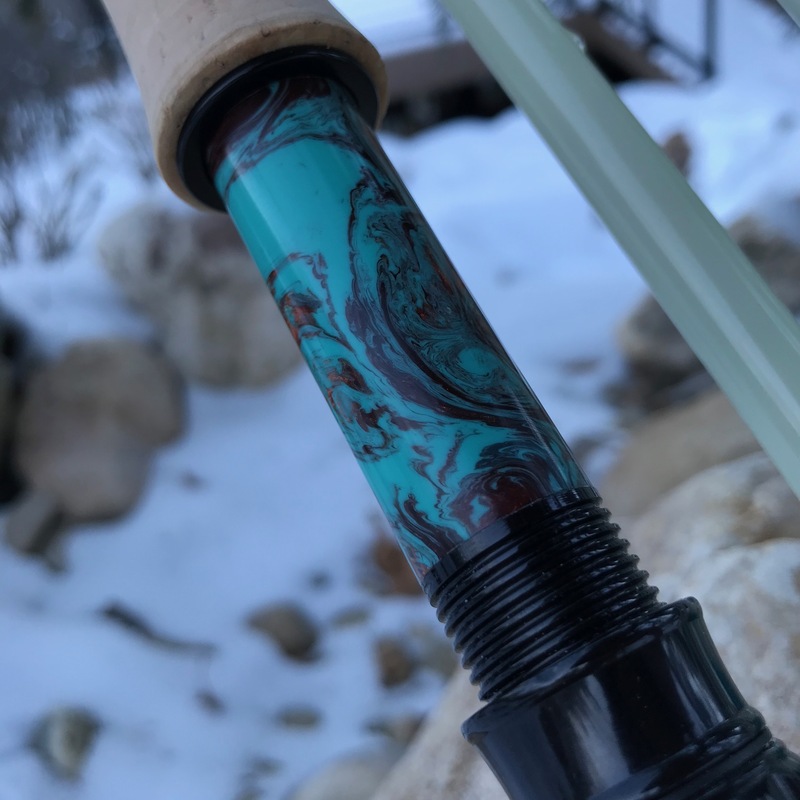 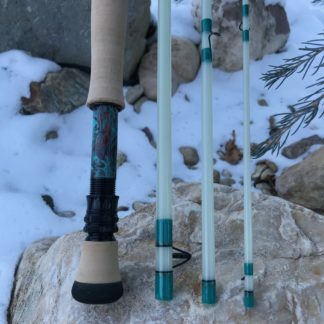 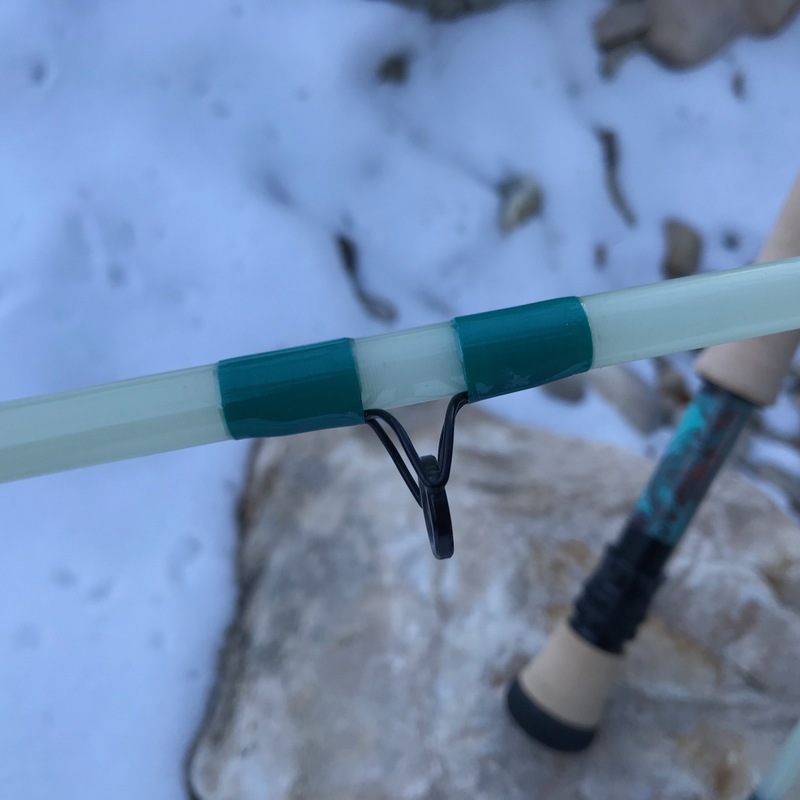 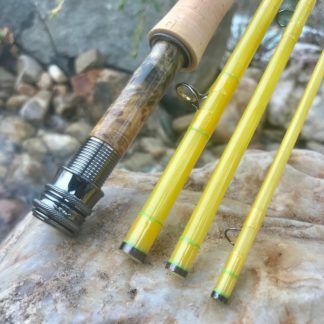 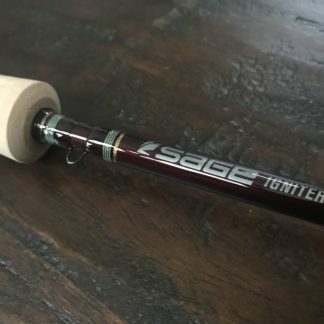 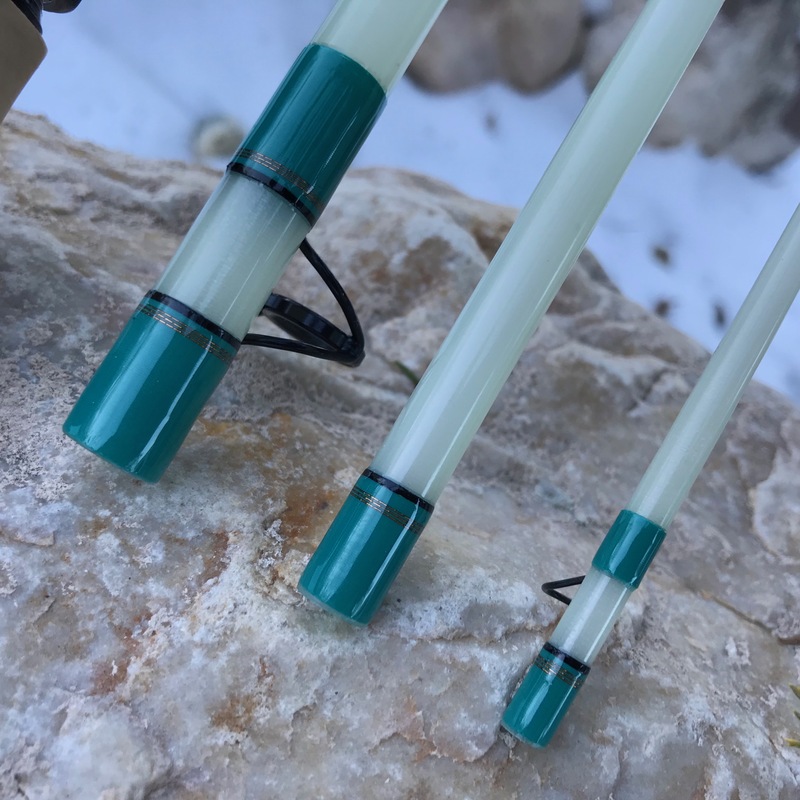 Rod comes with the Blue Halo glass tube and sock.